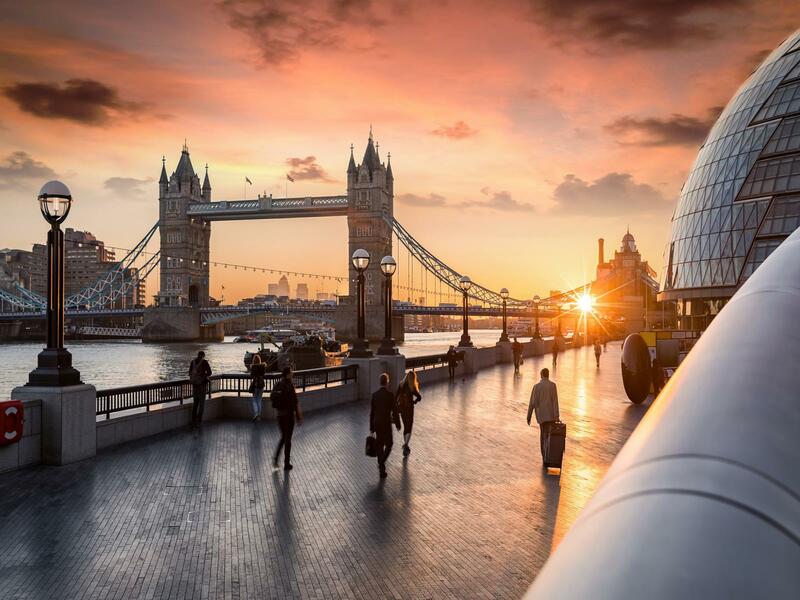 New research by leading property advisor, CBRE Residential, reveals the winners in the London residential market in 2018. By analysing the best performing boroughs in several categories, including house prices and rental growth, highest levels of development, Help to Buy hotspots and lifestyle factors including education provision and retail and sports facilities, the “Hot 100” report provides a snapshot of the biggest London housing market trends of 2018. CBRE's annual Hot 100 report shows that Islington has knocked the London Borough of Camden off the top spot for annual average house price growth. Islington (7% increase) is followed by Redbridge (5.7%) and Richmond upon Thames (5.7%). Close to the Square Mile yet maintaining a unique reputation for nightlife and attractive traditional housing, Islington has always been a popular choice for young professionals and families as well as city workers, and its connectivity will be enhanced by the new Crossrail stop at Farringdon. The borough of Redbridge is set to benefit from the high-speed east-west train network Crossrail. The area of east London is seeing significant regeneration and increased demand for homes around the Elizabeth line's new stops in the borough, which are due to open at the end of 2019. Best known for its riverside walks and green spaces, including Richmond Park and Kew Gardens, Richmond upon Thames in the south west of London remains a favourite for families and commuters. Across London, demand for homes in the private rental sector is growing. Kensington and Chelsea, the City of London and Westminster were three of the boroughs with the highest rental growth in 2018, albeit pipped to the top spot by Haringey with 7% growth. Haringey is poised for significant change thanks to plans outlined for the Upper Lea Valley Opportunity Area. Rental values are forecast to continue a growth path over the next few years. Other indications of future growth identified by CBRE include economic measures. Home of world-renowned Tech City, Hackney is one of the biggest success stories of London's East End regeneration programme. The programmes to further improve and update the area are supported by favourable economic forecasts revealed in CBRE's Hot 100 report; Hackney topped the rankings for highest forecast GDP growth over the next five years (18%) and is also set for the third highest employment growth up to 2021 (18.3%). Following Hackney in the forecasts for highest growth in jobs and in GDP was Newham, which has a bright future ahead of it, thanks to regeneration projects and the inclusion of new Elizabeth Line stations that will create demand for homes from commuters and families. Newham includes Stratford, the site of the London Olympics, which has been skillfully recycled to provide a whole new residential area in east London. CBRE's Hot 100 report recorded employment growth forecast of up to 2021 of 24.20% and GDP growth of 18%. In new categories for 2018, the CBRE Hot 100 report sets out the top London boroughs for shops, restaurants and sports facilities. Alongside market and economic data, these retail and leisure facilities are significant factors in where people decide to live. From famous department stores, such as Harrods, to the boutique stores of Covent Garden, London is well known as a top retail destination. Unsurprisingly, Westminster, which includes the famous shopping destinations of Oxford Street, Regent Street and Bond Street, has the highest number of shops (5,115), and restaurants and cafes (1,757). There were positives for the outer boroughs as well as central London. Barnet, which is the largest London borough by population, has the third highest number of shops (2,044) and the fourth highest number of restaurants and cafes (441). For those seeking to stay active, Bromley has the highest number of sports facilities at 954, although per capita it is Richmond upon Thames that has the most sports and leisure facilities for its residents.